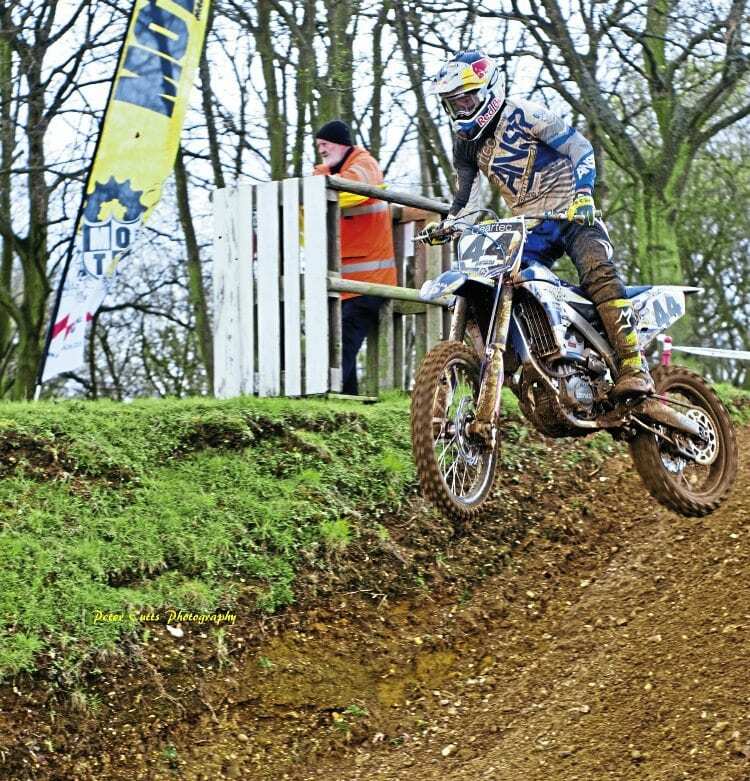 The Banks family of Bury St Edmunds has a special place in motocross history, with no fewer than three generations all becoming British champions. Every dynasty needs a founder, and for the Banks it was John who started the ball rolling, winning four 500cc titles between 1968 and 1973. Elliott, here on his Geartec Yamaha, is one of the leading riders of today and hopes to hit the highs on his new Geartec Husqvarna. With a decade’s break it then fell to his son Mark to put more silverware in the Banks’ vault – as in 1988 he became 125cc champion – while grandson Elliott Banks Browne then took his place on the roster of success in 2012 when he won the MX2 (250cc) British championship… going on to defend his title the following year. So it was always going to be an enjoyable trip when I paid a visit to the John Banks Group motor franchise showroom in Bury St Edmunds to talk motocross with all three. John was born into an affluent family, his father running a successful building business, and as a boy he was fascinated with the exploits of Dave Bickers in the European championship. His first bike, a Greeves trials bike, was bought from the 1960-61 European champion and John showed great promise. He wanted to go racing like his idol and his first real step to success was aided by his lifelong friend, Doug Theobald. Doug was a factory trials rider for Dot and suggested to owner Burnard Scott Wade that his pal might make a good motocross rider. A factory 250 Dot was put at John’s disposal and as a 17-year-old he had a fair measure of success. He was given another leg up the ladder in 1963, when Alan Clough left Dot for Greeves and John, along with teammate John Griffiths, got to race selected GPs, taking his first podium finish with third place at the Swiss round just a few days after turning 19.